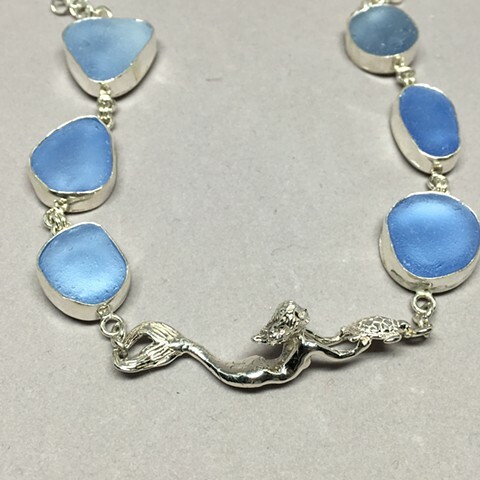 Sky blue seaglass set in handcrafted fine silver bezel with handcrafted mermaid and turtle. 17" and can be lengthened. One of a kind..